Amsterdam is not all about 16th century architecture. 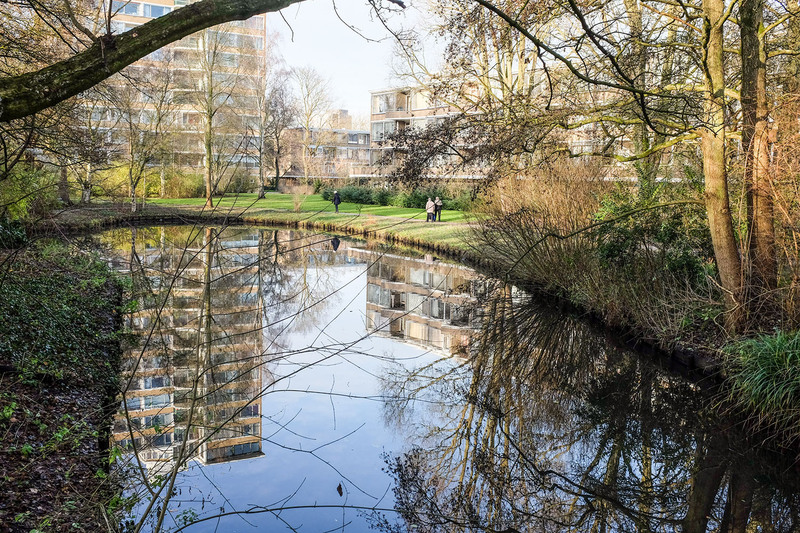 In this shot, in the suburbs of Amstelveen, is an elderly couple taking a walk by a canal with tall apartment buildings for company. Old architecture might not to be found everywhere in the Netherlands, but water and canals certainly are. I wonder what this couple must be thinking, or how long have they lived here. Have they seen these buildings come up over time?